... passed on the next year. 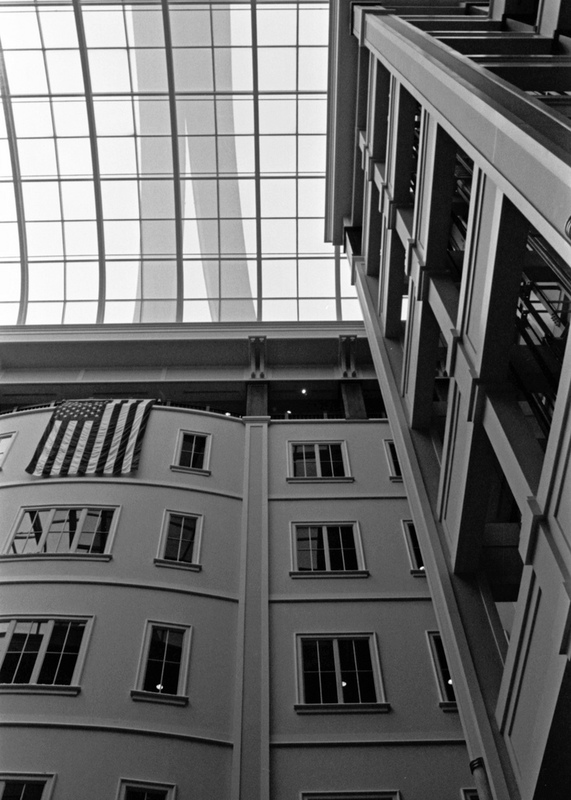 As if the buildings unique and unlikely exterior was not enough the interior is magnificent and centered on an atrium that rises the full seven stories of the building. 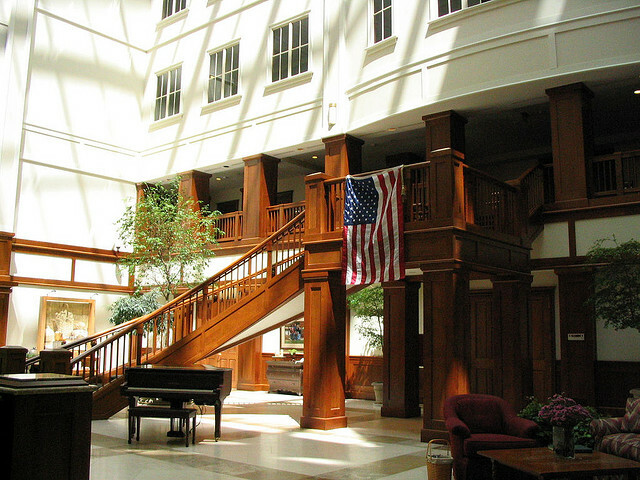 The atrium features a grand staircase, a player piano, sumptuous cherry woodwork and is topped with glass through which can be seen the huge handles that complete the basket like appearance of the building. The signature handles weigh in at an impressive 150 tons, are attached with replica copper and wooden rivets and are heated to prevent the formation of ice. 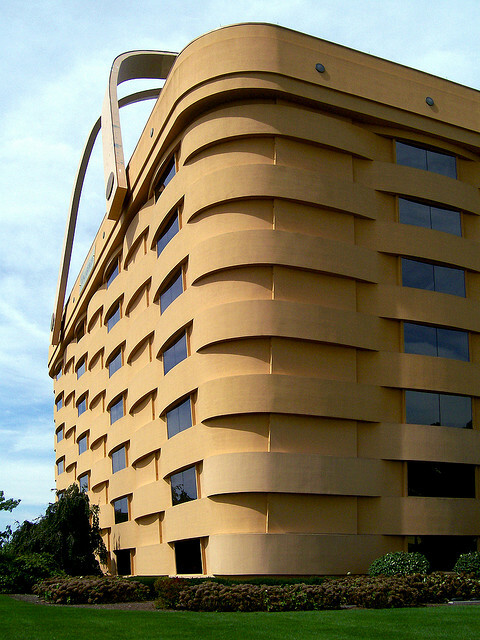 The gold leaf painted logo tags are 725 lbs each and measure 25' long x 7' tall x 3" thick. 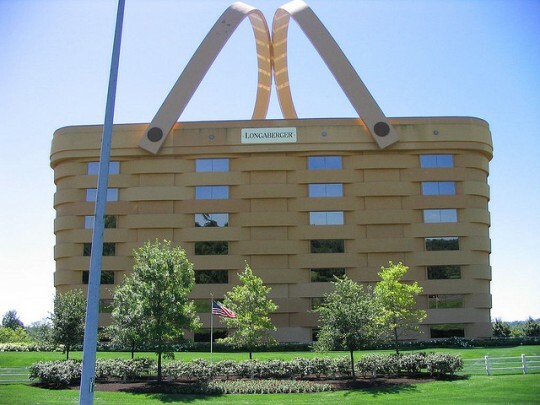 It is said that Dave Longaberger wanted to have all of the companies buildings shaped like baskets but that after his 1998 death his daughters vetoed any more "basket buildings". 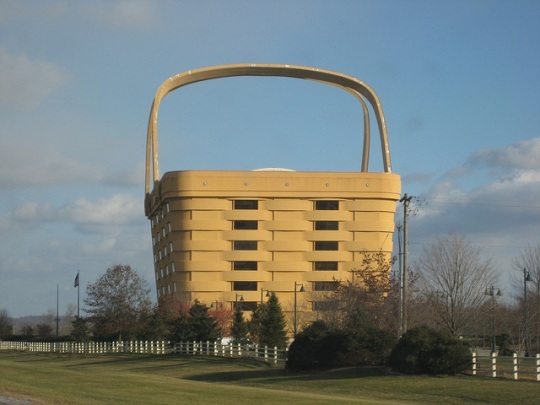 If you are ever planning to travel State Route 16 in Newark make sure to stop by and check out the "Basket Building". 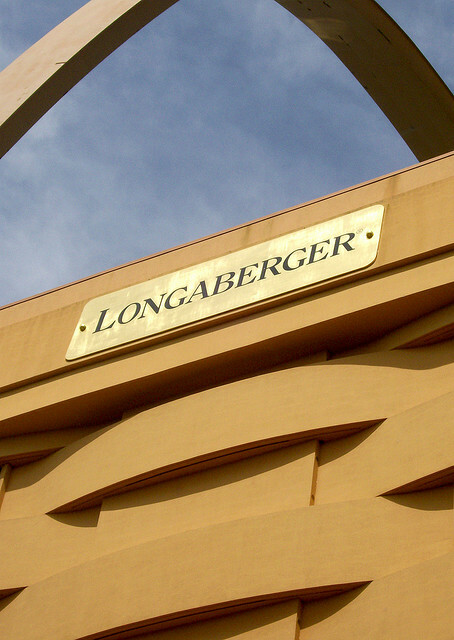 Information on operating hours and tours can be found on the Longaberger Company website.